Authentic Venetian Bead in the Serale style(serale: an italian word which means the evening, which was the inspiration for this bead). The size is approximately 14mm Round. The hole is 1mm which runs through the center of the bead. The gold is exterior and may rub off due to wear and tear or exposure to body oils and lotions. 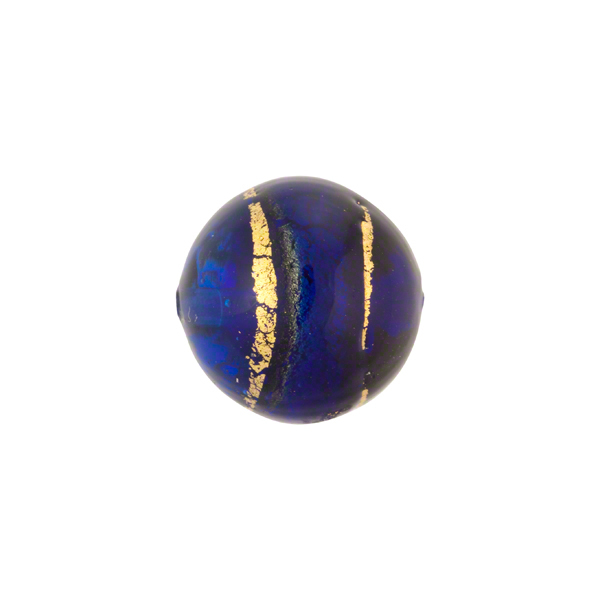 This is not a defect, rather a part of the bead. 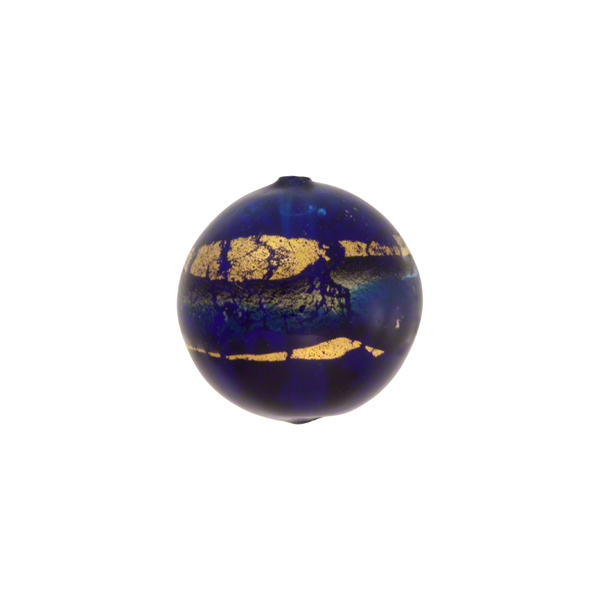 The colors in this one are shades of Blue Cobalt Murano Glass.